If you would like to make an enquiry to stay at Belvedere Bed & Breakfast, please don't hesitate to contact us. 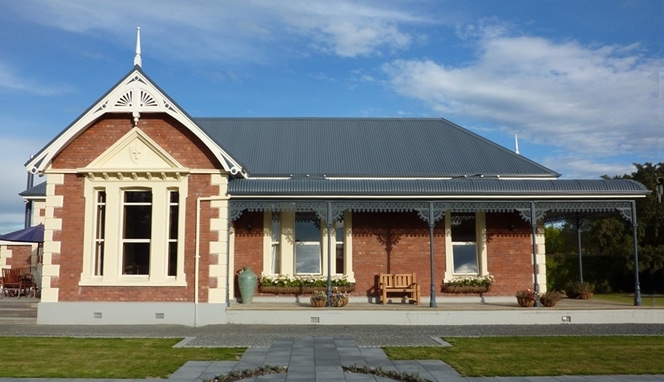 We welcome you to our home located in Winton, half an hour north of Invercargill — the heart of central Southland, New Zealand. In this old style 1910, beautifully renovated home, with central heating and queen-size beds you will be warm and comfortable. Wake up in the morning and enjoy a tasty continental or cooked breakfast. There is easy access for wheelchairs throughout the house. Relax on the front porch or in the beautiful gardens. We strive to create a warm and welcoming atmosphere with all the comforts of home. We encourage you to come and join us for a hot drink and a chat. Do feel free to relax in our home. Contact us with any enquiries. We have tea and coffee making facilities. Flat-screen TV, free wireless internet access. We have travelled and know that getting accommodation that is clean and relaxing makes the experience more memorable. We are happy to sit down and have a hot drink and a chat with you. Winton is central for travel around Southland and has far better weather.